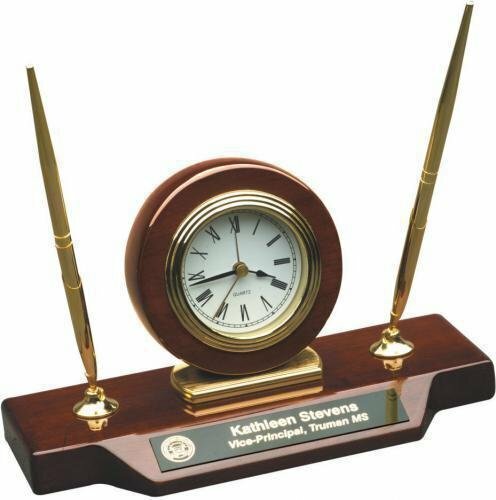 Rosewood clocks are an elegant way to show how much you appreciate someone. Choose one of our rosewood clocks as a gift or award for someone special. 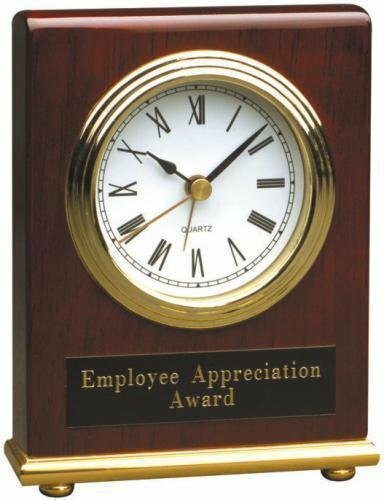 A clock award is always a great choice for an employee recognition award or sales award. 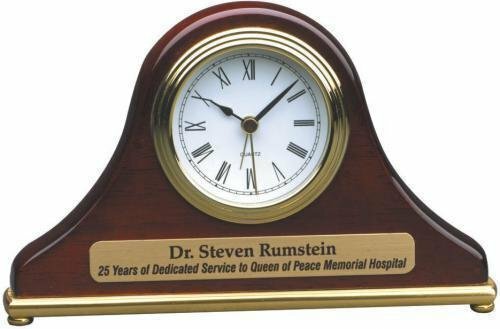 A retirement clock is a traditional gift to commemorate wonderful years of service. 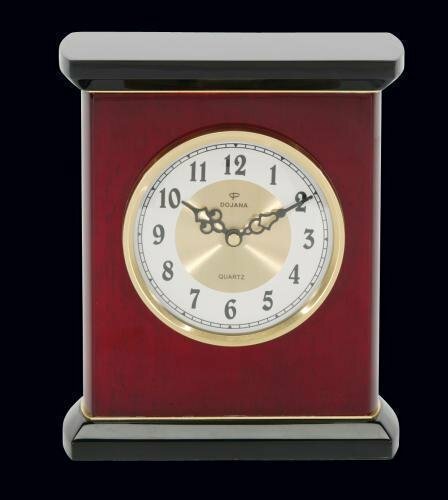 Elegant is the only term that one can use when describing this Piano Rosewood Desktop Clock. Classic in design with a large clock face, simple number design, and intricately styled hour and minute hands create a stunning look. The Rosewood Piano Finish is the final touch to this incredible item that anyone would be proud to either give or receive. 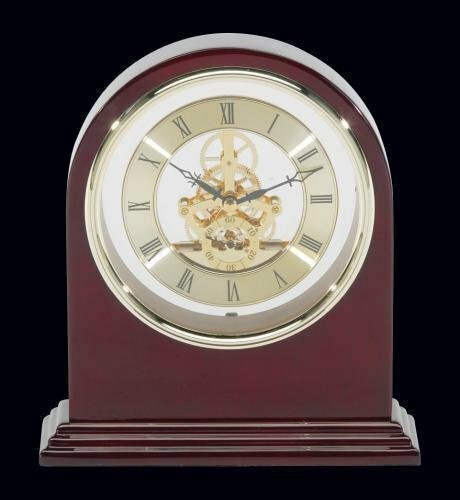 This classic Plymouth Clock boasts at large clock face that is open to reveal the clock mechanicals, while Roman numerals, and intricately styled hour and minute hands create a stunning look. The Rosewood Piano Finish is the final touch to this incredible item that anyone would be proud to either give or receive.